What will the world of wine look like in 50 years? A look in the crystal ball. What if the Chinese were French? A journalist with a Brazilian newsweekly called me on Thursday to ask for help with a story on China. The magazine is doing a sort of “worst case scenario” report on the potential impact of China’s economic growth on world markets. What would happen to oil prices, for example, if the Chinese used as much fuel per capita as Americans do? Yikes, that would be a lot of drivers using a lot of gas and it would send oil prices through the roof. What would happen if Chinese consumers generated as much waste and pollution per person as people in the West? Once again, the global effects would be dramatic. What would happen, the journalist asked me, if Chinese tastes changed and they drank as much wine per capita as the current world champtions, the French? Well, that is a very interesting question, even if it isn’t a very realistic one. Annual Chinese consumption of wine is about a half-liter per capita and rising, according to my copy of The Global Wine Statistical Compendium (and a lot of that wine isn’t grape wine, as I wrote in The China Wine Syndrome). Wine consumption in France, on the other hand, is 55 liters per person and falling (it was more than 120 liters per capita in the early 1960s). The figure is about 8.5 liters per capita for the U.S. and 20 liters per capita for Great Britain. It is hard to imagine how Chinese wine consumption could rise to the current French level. Heck, it is unlikely that the French will sustain their current level for long. But isn’t entirely out of the question that Chinese consumpion could rise to the world average, which is about 3.5 liters per capita per year. That’s a lot smaller increase than the Brazillian reporter was concerned with, but it would still have a huge impact on global wine markets. Much of the increase would probably be met by higher Chinese production; China is already a major wine producer — smaller than Chile but larger than Portugal in total production. But the global effects would be substantial and prices would surely rise. We can already see some indication of the potential “China Effect” in the market for fine wine. Everyone seems to think that at least some of the rise in Bordeaux prices in recent years is due to Asian and especially Chinese purchases. This trend seems likely to accelerate now that Hong Kong has eliminated its high tax on wine transactions so that it can become the auction hub of the Asian wine market. The latest Wine Advocate reports prices of 2005 Bordeaux that reach stratospheric levels — $500, $1500, $2500 per bottle! This is what happens when a global market focuses on an object of speculation — huge rents (excess returns) are created. As China (and India, too) become more completely integrated into global markets for products like fine wine, these rents will likely rise higher still. The Brazilians are not the only ones interested in the future of wine. Berry Bros. & Rudd (BBR), the London fine wine house, recently celebrated its 310th anniversary with the release of the Future of Wine Report written by four of their top wine buyers (Alun Griffiths MW, Jasper Morris MW, Simon Field MW and David Berry Green). It makes pretty interesting reading if you are interested in what wine markets might look like in 2058. I say wine markets (plural) because BBR correctly recognizes that there is not one wine market but many interrelated ones. The fine wine market, BBR predicts, will see the rise of China and India as important factors in terms of both demand and supply. “I absolutely think China will be a fine wine player rivalling the best wines from France,” writes Jasper Morris. Britain will become an important producer of fine wines, too, perhaps especially Champagne-like sparkers. Wine prices will soar even higher, according to the report. “If values increase by 15% per annumn, as they have been doing recently, a case of 2005 Ch. Lafite-Rothschild, currently available for £9,200. could be worth just shy of £10 mllion by 2050,” according to Simon Staples. The forecast changes are more dramatic in the volume wine market. China will be the world’s largest wine producer. Global warming will shift wine production from France to Eastern Europe and from Napa Valley to Canada. Australia, the report speculates, could see a collapse of its volume wine industry if recent droughts persist. Goodbye Yellow Tail. Hello boutique producers in cooler, wetter areas like Tasmania. Brands will become even more important in the volume business, BBR suggest. “In 50 years, consumers will ask for wine by the brand name or flavour and won’t know, or care, where it has come from. Grapes will be genetically modified to change a wine’s taste,” according to Jasper Morris, “and producers will add artificial flavourings to create a style wanted by consumers.” Wait — OMG I think I drank those wines back in the 1970s when I was in grad school! Bottles and corks? They’re history. Corks will disappear because they are inefficient — the contamination rate is too high. Bottles are heavy and environmentally problematic. Tetra pak containers (like the ones used in today’s French Rabbit wines) and other sustainable packaging systems will prevail for volume wine. So what should we think of these visions of the future of wine? Economists like to say that prediction is difficult, especially about the future, so long range forecasts need to be taken for the educated guesses that they are. Some forecasts, will be wrong because they are more or less simple straight line extrapolations (How much wine would the Chinese drink if they were French? How much will fine wine costs if its price compounds at the current rate?). It seems to me that simple projections are usually wrong because they are sensitive to initial conditions. Who is to say if long term trends will match those of the recent past? 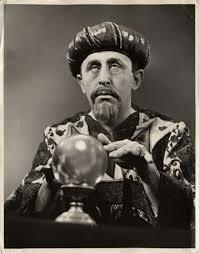 Some predictions, like the £10 million case of wine, are extreme, but others are probably too conservative. The wine world has a way of surprising us — who in 1958 would have predicted the importance of Chile and Argentina today or the decline of consumption and production in France? People matter, too. People and their ideas are powerful forces that do not always respect historical trends, as refelction on the recent death of Robert Mondavi remind us. Kenneth Boulding, the great 20th Century social scientist, once wrote a history of the future. He looked back to see what people in the past had said about the world just ahead. What he learned, he told me, was that when the future eventually rolled around, it never matched the predictions, it was always unexpected. The best way to prepare for the future, he concluded, was to prepare to be surprised. I expect this rather general advice applies as well to wine. bbr’s experts remind me of some real estate agents i knew back in 2003… but i loved the part about the bee. Yes, the bee really cracks me up!